I haven’t played very many point-and-click adventure games. In fact, I could probably count the number of adventure games that I’ve spent any considerable amount of time with on one hand. 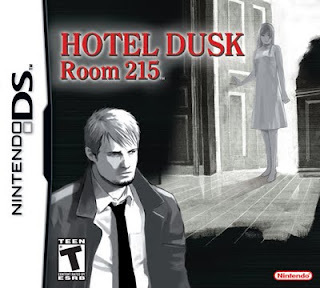 And yet, as unfamiliar as I am with the genre, I couldn’t help but to be captivated by Hotel Dusk: Room 215 as I experienced the game for the first time over the last few weeks. The story in Hotel Dusk: Room 215 is strong enough to warrant not being spoiled, so I’ll tread lightly here. The plot revolves around a man named Kyle Hyde, who used to be a police detective. 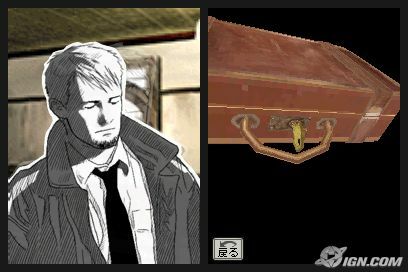 Years before the starting point of the game, one of Hyde’s cases took a turn for the worse, and some bad stuff went down between him and his partner. He left the force and took on a new job as a traveling salesman—his company offers an off-the-record service involving the investigation and recovery of lost items. This new job brings Hyde to the rundown Hotel Dusk, and a slowly satisfying narrative begins to unfold. You know what isn’t ambiguous? The puzzles in Hotel Dusk: Room 215. Aside from a few points in the game where I didn’t have any idea what to do next (resulting in my knocking on every door in the hotel like an idiot), the appropriate course of action in any given situation was either based on common sense or otherwise hinted at, making the game a nice entry point for anyone who is unfamiliar with the genre. I would imagine that those who have previously been initiated into the AwesomeAtAdventureGames club will likely find the puzzles in Hotel Dusk to be pretty easy. 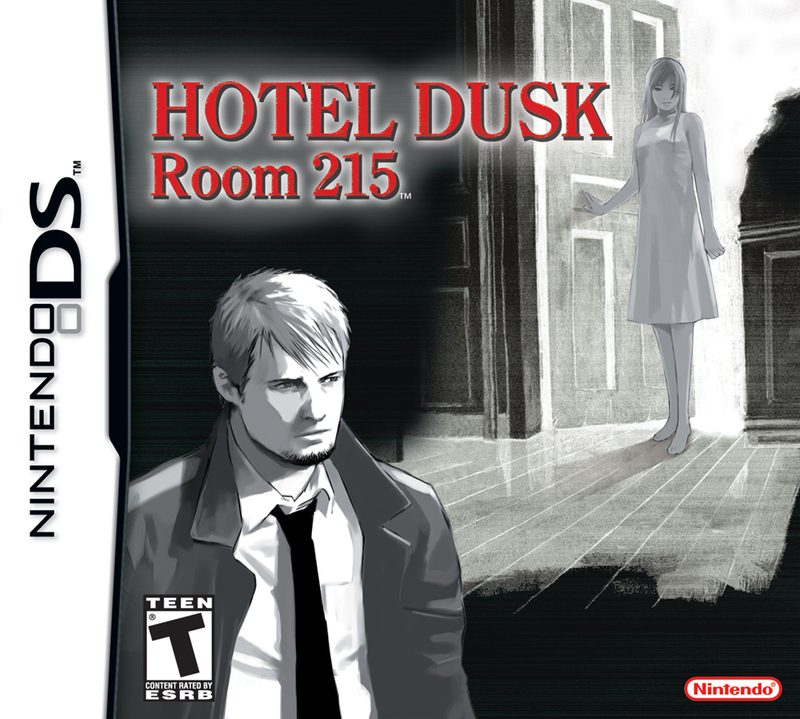 The only new offering that Hotel Dusk: Room 215 might present to the aforementioned inductees can be found in the way the game makes use of the Nintendo DS’s unique capabilities. The first thing you’ll notice when you play the game is that you must hold the DS sideways like a book. It’s clever and adds nicely to the experience. Aside from that a few puzzles will have you blowing on the DS or shutting its lid to perform actions that would be robbed of their novelty by describing in much more detail. 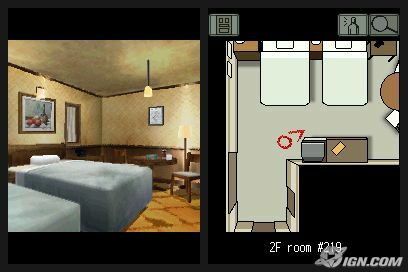 I found Hotel Dusk: Room 215 to be a very immersive and enjoyable narrative experience that—aside form a few spots that required me to consult a strategy guide—was satisfying from beginning to end. While it certainly isn’t a game for anyone looking for a fast-paced headsplosions, I can offer it nothing less than a strong recommendation for what this game has to offer.